We offer our customers more than 20.000 products and provide the technical solutions for application in construction and industrial projects. Architects and engineers take advantage of our products and our technical software in their projects. Construction companies, precast factories and (distributors / resellers) use our wide selection of products in commercial and residential construction, for civil engineering, excavation projects, for traffic and all types of infrastructure developments. 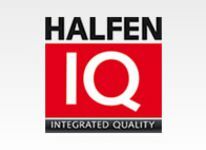 Customers in industry refer to HALFEN for technical solutions in mechanical engineering, vehicle manufacturing, plant engineering, the chemical industry, and also for many other types of industrial projects. We trust in the power of the brand: HALFEN, DEHA, FRIMEDA and DEMU are all internationally renowned, leading brands. The basis of our success is world-wide, long-term partnerships with our customers and suppliers. More than 1,100 HALFEN employees strive for a common interest, with inestimable commitment to increasing value; with a strong focus on quality, customer service and innovation. We are a socially responsible, environmentally sensitive organization, which looks beyond the immediate (construction site/project) in order to further develop the wider community. 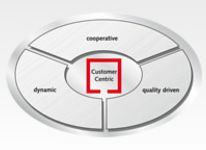 Since being founded in 1929 the company’s objective has been to offer customers individual solutions with the emphasis on quality, safety and technology. In order to be able to reduce reaction time on customer requests, HALFEN believes in close proximity to the customer. With our own subsidiaries or via distributors we have achieved this target in more than 60 countries world-wide. 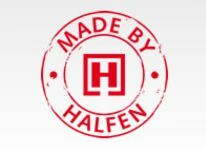 In 2006 HALFEN joined the CRH group; CRH plc Ireland is a regional, national and international market leader in the construction (materials) industry. With expansion in mind, in production, in world-wide distribution of products and technical solutions, we will continue our strategy of developing new markets; and take additional steps to get even closer to our customers, world-wide.